If any room in your house looks a bit boring or needs a bit more light at night time, you could consider getting a table lamp that not only adds a bit of beauty but also shines just as well. 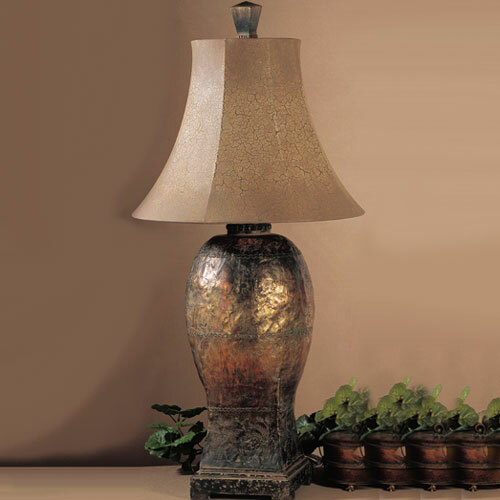 There are many different designs, sizes, colors, and shapes that table lamps come in. That means you are sure to find one that suits your taste and will go well with the decor of any room in your house that you plan to put it. If you want to see how vast an array of table lamps there are, you can pay a visit to the Lighting Showplace. They have over 140 different table lamps from which you can choose. Some of the styles that you can choose from include Tiffany, Art Glass, Rustic, Victorian, and Modern. Some people like products from particular manufacturers. If you are one of them, then you can pick selections from Kichler, Martha Stewart, Harris Marcus, Quoizel, Liz Jordan, and Kenroy Home. Once you have found the lamp or lamps that you want, simply order online or call the Lighting Showplace toll free at 1-800-334-2725. They offer free shipping on orders over $75, so shop wisely. Now that you know where to go and get your table lamp, you can shop whenever you like and get them at great prices.